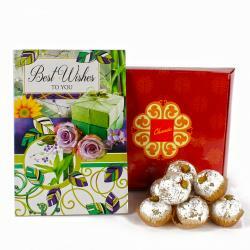 Product Consists : Kaju Bon Bon Delicious Sweet (Weight 250 gms) along with Best Wishes Greeting Card. 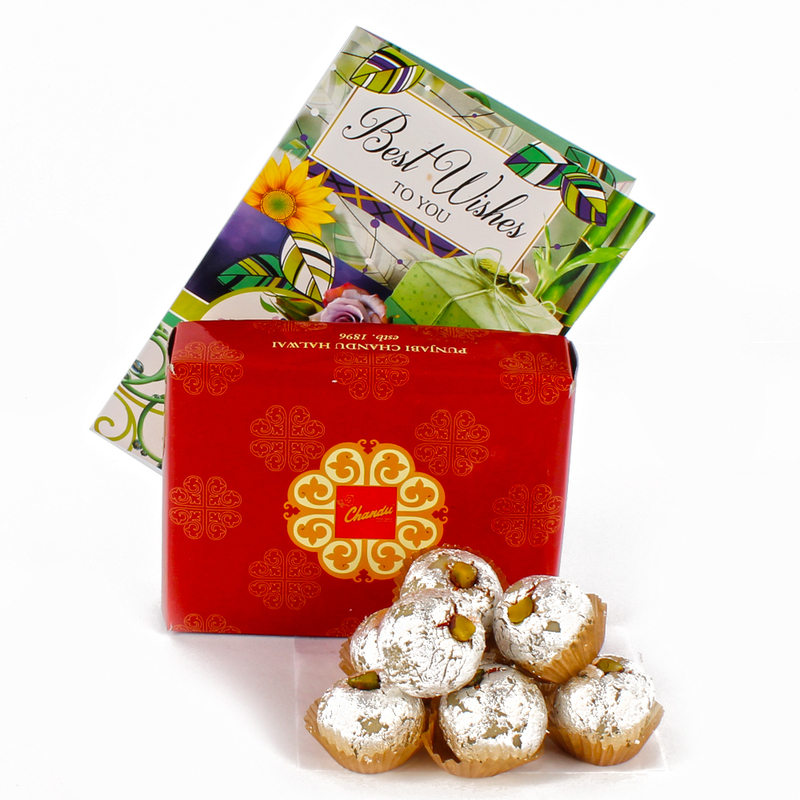 This hamper is just like the nice bunch of memories you have with your loved ones.Kaju Bon Bon sweets would make you feel good along with Best Greeting Card just the way your memories make you feel Surprice All you need is happiness, joy, laughter, love and lots of luck. 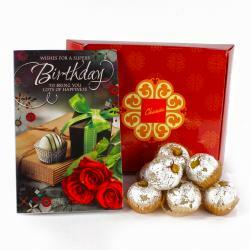 Now you can Gift on any occasion like Birthday, Anniversary, Baby Shower, Congratulation, Good Luck, Just Like That and many more So what are you waiting for Go ahead and place your order Now Get this Sweet box with Greeting Card. 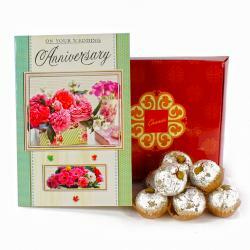 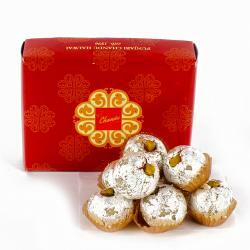 Product Consists : Box of Chandu Halwai Kaju Bon Bon Sweets Delicious Sweet (Weight : 250 gms) along with Best Greeting Card.